Both came from out of state to take our 4-month intensive program (completing the entire 16-month training in just 4 months!). Each had her own reasons for attending and individual goals she wanted to accomplish, but they became fast friends through our program. 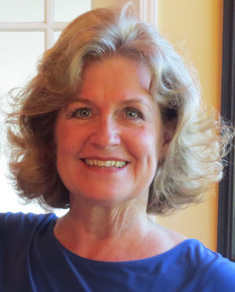 This is the second in the series: an interview with Kathy Wappel from Apex, North Carolina. If you missed the previous post, you can read about Liz’s teacher training story here. Happy reading! Kathy Wappel, teacher training graduate, ready to share all her new skills with her students in North Carolina. What attracted you to BDTC’s Teacher Training program? I first came across the BDTC website about 4 years ago. At the time, I had been teaching a beginning ballroom class at two local community centers and really liked the idea of getting some actual teacher training. I loved that BDTC was nationally recognized and associated with DVIDA. However, living in North Carolina, BDTC was not an option—I still had a daughter in high school, so I could not take 4 months away from home. So I put it in the back of my mind and completely forgot about it. It wasn’t until my daughter was in her third year of college. I had been struggling with the empty nest situation. One day when I was driving, the thought, “Hey, I could do that ballroom teacher training thing now!” just popped into my head. Four days later I had registered for the program, found an apartment in Oakland, California, cancelled everything on my calendar for the next four months, and informed all my friends and family that I was going on an adventure! Four weeks later, I was in my car driving cross-country. How much prior dance experience did you have? I actually had a lot of previous dance experience. I started dancing about the same time I started walking. Dance has been a huge part of my life for as long as I can remember. In my 20’s, I danced professionally in musical theatre productions: off Broadway, national tours, cruise ships and summer stock. I kind of forgot about dancing in my 30’s while I was having children and enjoying all that entails. Then early in my 40’s (after I had the mothering thing down), I rediscovered dancing, and this time, it was ballroom dancing. I fell in love with ballroom and immersed myself in it every chance I had. I took 2 to 3 classes a week, private coaching when I could, and competed 2 to 3 times a year. I couldn’t get enough of it! What were your favorite moments in the BDTC Teacher Training program? Kathy Wappel and her ballroom training buddy, Elizabeth Wilson, hanging out with Anatoly, the dancing skeleton! Taking the theory portions of the tests! After I got the hang of it, I found it to be a real confidence booster. The theory tests let me know I understood the information well enough to present it to the entire class, because you do have to know it—there’s no faking it! What’s your favorite ballroom dance? My favorite dances are Mambo and West Coast Swing. I love the music of both, and those two just feel the best in my body. Although Lindy Hop is growing on me, even though I had never tried it before BDTC! Was the Teacher Training program what you expected? I really didn’t know what to expect. But from everything I had read on the website, and from talking to both Heather and Diane over the phone, I knew it would be a quality program. And I was not disappointed! Not only was the BDTC program and curriculum of high caliber, but also the teachers’ presentation of classes was done in such a supportive and friendly manner, while still maintaining professionalism. What are your future plans, hopes and dreams? I continue to teach at two local Community Centers. Inspired by Diane’s home studio, I decided to turn the sunroom in my house into a dance studio. I plan to teach private lessons there. The mirrors were just installed a few days ago—I’m so excited! I am also in the process of putting together a small portfolio to take to all of the retirement and senior communities in my area. I read a study by the National Institute on Aging that concluded the best physical activity to offer protection against dementia was dancing. So I’d like to offer classes in these communities. An added benefit to teaching retirees, is that I will be able to teach classes during the daytime, when my husband is working. This will leave my evenings open to spend time with him.